There was a time not that long ago, when many people in the medical field had no idea what fibromyalgia was or worse, considered it to be an imaginary condition. Things have come a long way since then, but there is still much doctors don’t know about the disease which means treating it can be difficult. 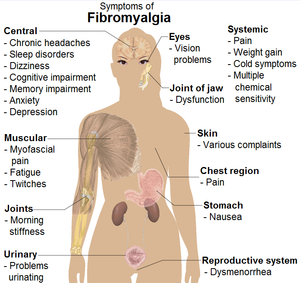 Characterized by long-term pain in joints and muscles and tenderness in specific trigger points, fibromyalgia most commonly affects women aged 20-50 and can cause extreme fatigue, depression, and sleep disorders. In an effort to develop prevention protocols, more effective treatment options, and possibly a cure, researchers have been searching for the root cause of Fibromyalgia to no avail. There are some who believe Fibromyalgia is brought on by dietary problems while others think it may be an auto immune disease. With no root cause or consistent trigger for its onset, doctors and research teams continue to search for the source of the symptoms. New research coming from Norwayand recently published in Arthritis & Rheumatism indicates there may be a more substantial link between difficulty sleeping and fibromyalgia. Initial findings show that women with irregular sleep patterns may have three times the risk of developing this condition than women who don’t. There also seems to be a correlation between how severe the sleep disturbance is and the increase in risk. The study included more than 12,000 participants who were studied over a period of years. All the participants reported no musculoskeletal pain at the beginning of the study and 327 were diagnosed with fibromyalgia at some later time. Looking at age, environmental factors, exercise, and other variables, showed that the greatest increase in risk was for women over 45. Although the findings are important, they do not create a causal relationship between irregular sleep and onset of the disease. This research does open the door for further study into how sleep affects and fibromyalgia and vice versa. For researchers looking into the relationship between fibromyalgia and sleep, there is a bit of a chicken and egg problem that continues to muddy the waters. There is little disagreement that fibromyalgia and disordered sleep go hand in hand. The question is, does uneven sleep cause fibromyalgia or does fibromyalgia and the accompanying pain lead to problems with getting adequate sleep? Previous studies linking sleep deprivation to difficulties with pain management may add provide more information but have not provided the type of correlation needed to determine the link between cause and effect. For those researchers and doctors working on the fibromyalgia mystery, sleep is no doubt an important ingredient. But there are many other factors that need to be considered including the likelihood that there is a genetic predisposition to the condition, the possibility that it is an autoimmune disorder, the link between the condition and chronic inflammation, and the anecdotal evidence that many with fibromyalgia suffered some trauma that seemed to trigger the illness. Although this new research provides valuable information for those with the condition and those who study it, it isn’t a magic bullet that paves the way to a cure.